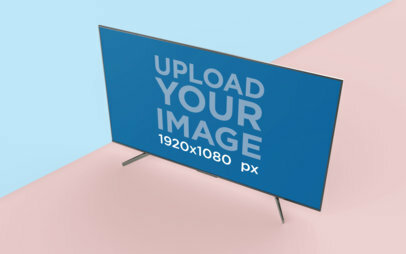 This sleek, massive LED monitor could be the mockup for your next movie pilot screenshot! 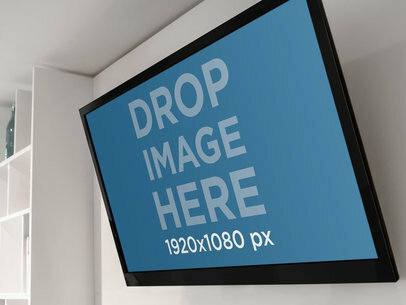 Installed near the ceiling at a downward angle, this monitor can be viewed by a small crowd. 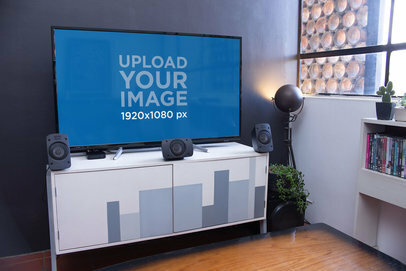 The black framed monitor contrasts beautifully on the white wall. 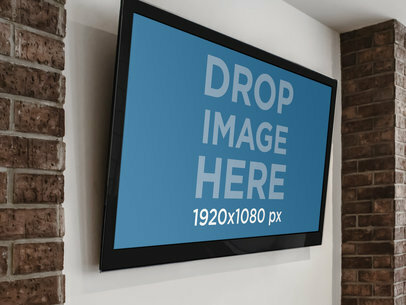 On either side are thick, brown, brick walls. 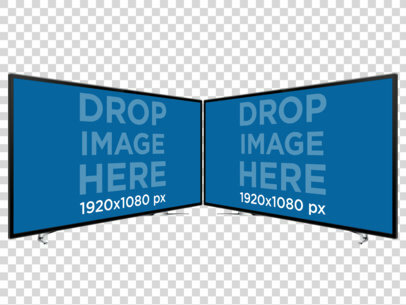 The screenshot stage is a huge, landscape 1920 x 1080 px! 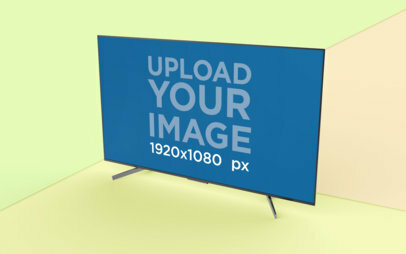 Niiice! 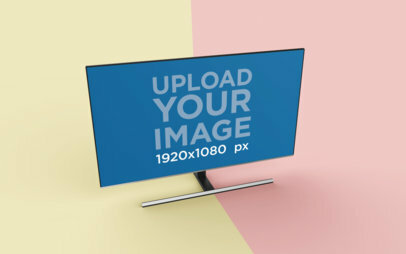 This sleek, massive LED monitor could be the mockup for your next movie pilot screenshot! 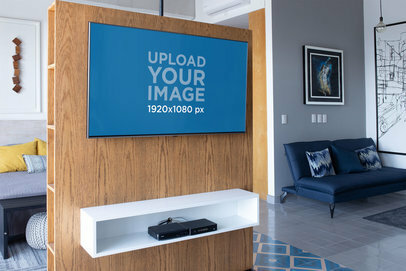 Installed near the ceiling at a downward angle, this monitor can be viewed by a small crowd in your living room. 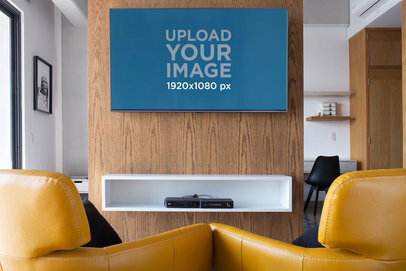 The black framed monitor contrasts beautifully on the white wall. 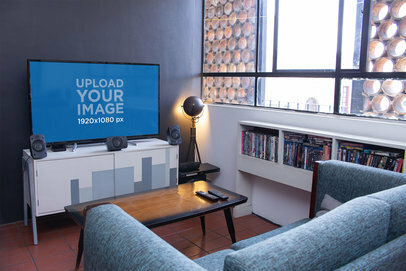 Next to it is a built-in white case for holding components. 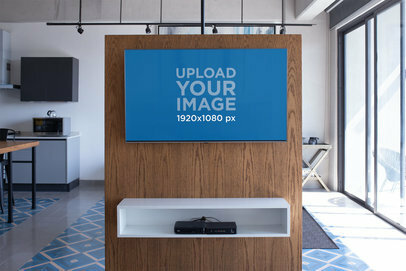 On the top shelf is a blue glass bottle for accent. 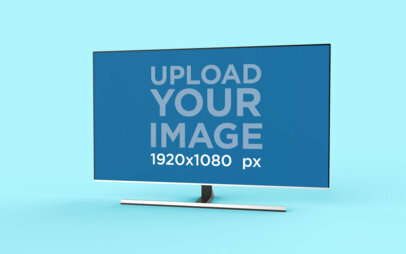 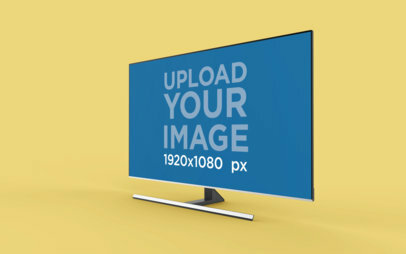 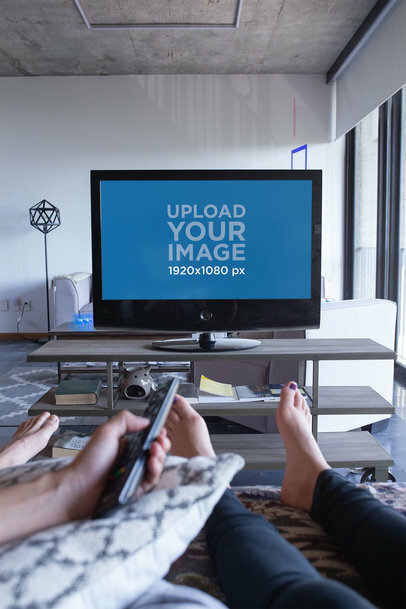 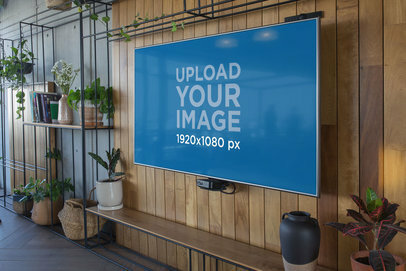 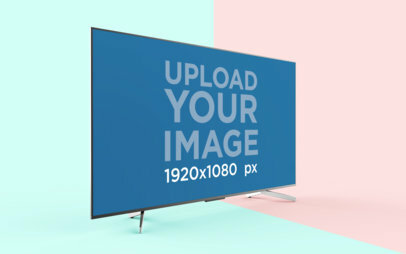 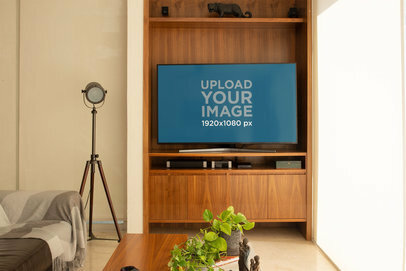 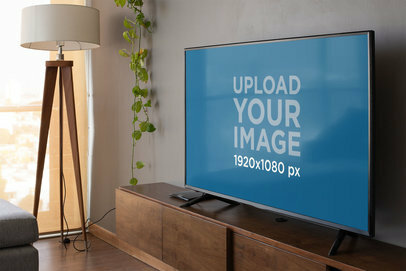 Update your branding campaign with amazing digital mockups like this one featuring a flat screen TV in angled landscape view, simply drag and drop your image over the placeholder now and our mockup generator will take care of the rest for you! 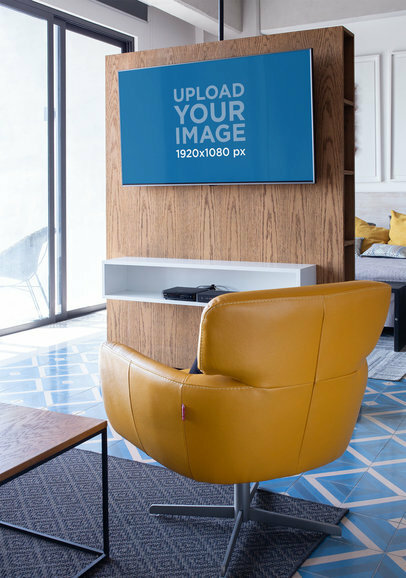 Go ahead and download more mockup templates with your own customized app designs in them and see instant results! 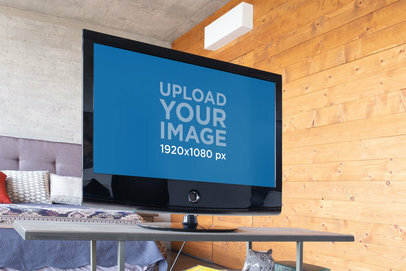 Display your latest app in multiple devices with this multi-stage mockup featuring a TV and an iPhone in landscape over a transparent background. 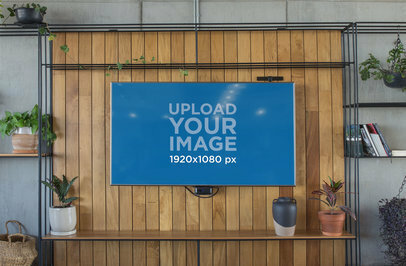 Place your image over the template now and your mockup will begin to generate in no time, your download will be ready instantly! 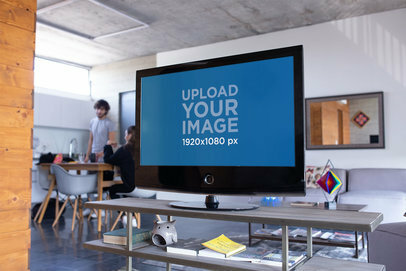 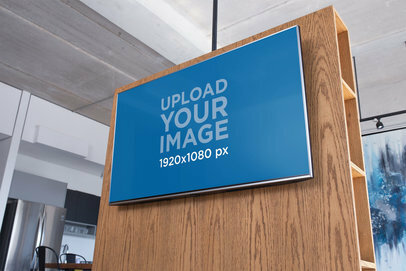 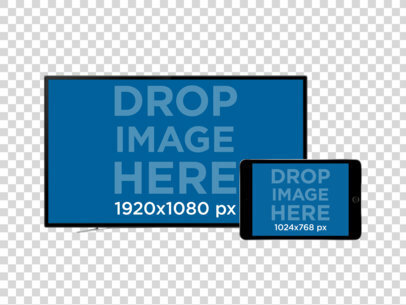 Create more digital mockups with different devices thanks to Placeit's wide variety of photo mockups. 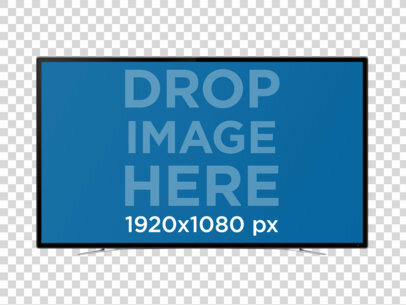 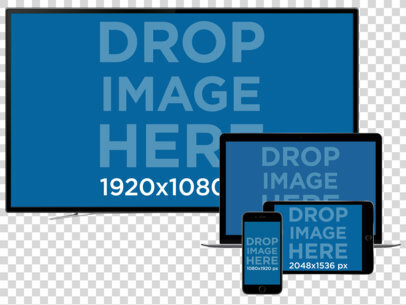 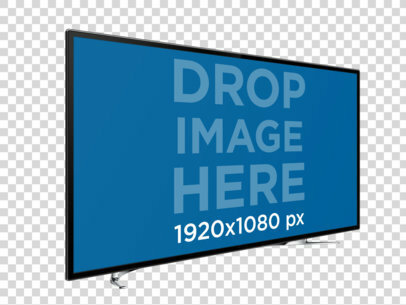 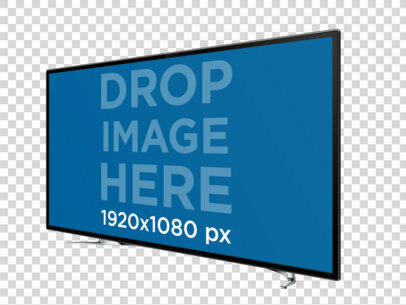 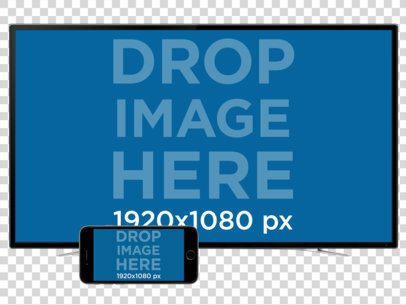 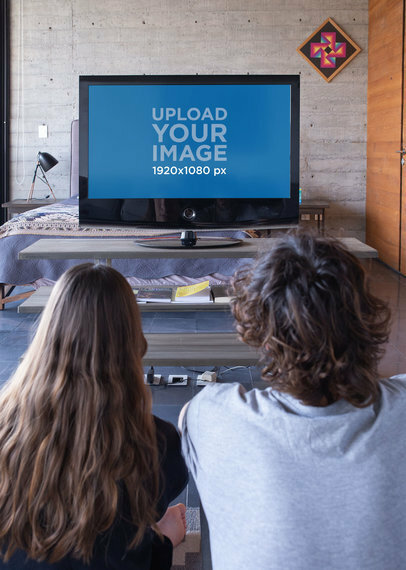 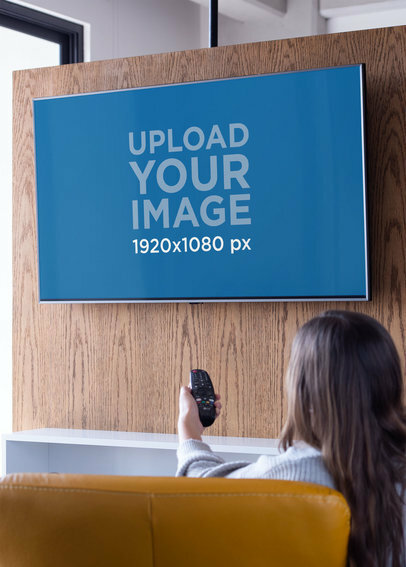 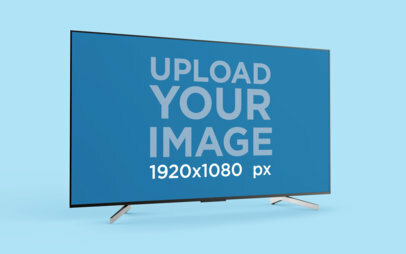 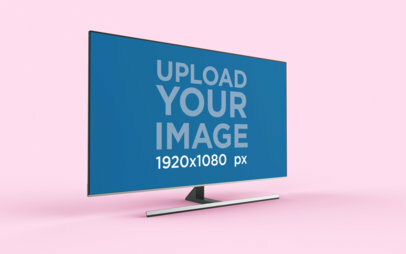 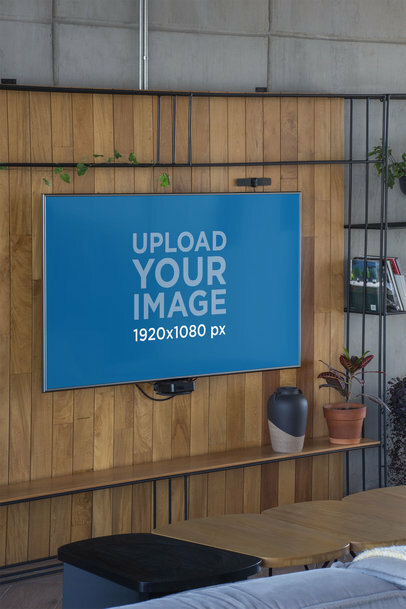 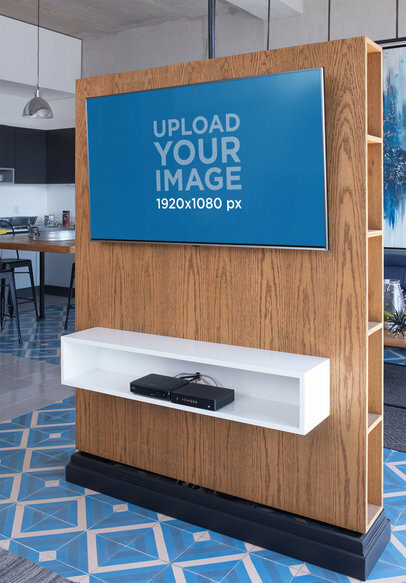 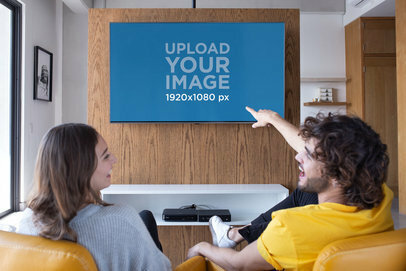 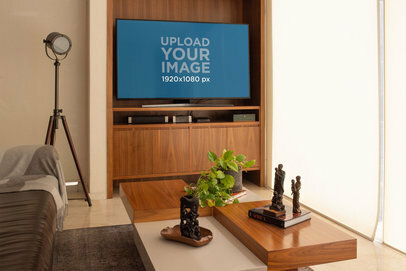 This is a wonderful TV mockup in which you can display any image you like by simply dropping it straight into the huge flat screen. 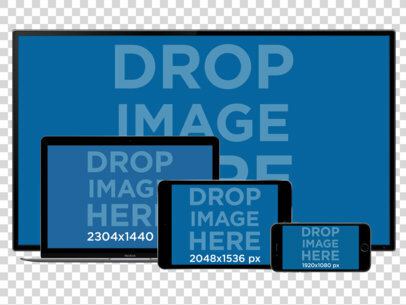 Besides, you can also choose to display any image or screenshot in the black iPad mini set up next to the television by doing the same thing. 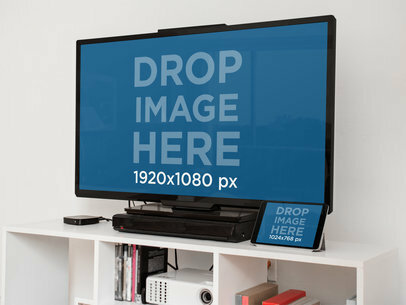 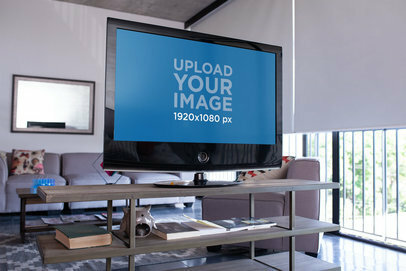 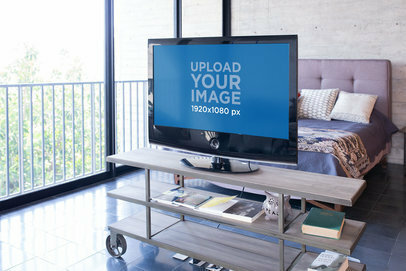 Use this flat screen and iPad Mini mockup template as a part of your visual content marketing campaign right away. 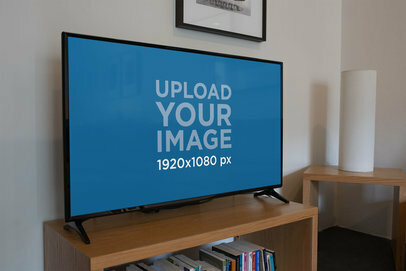 Try out your new app with our responsive mockups! 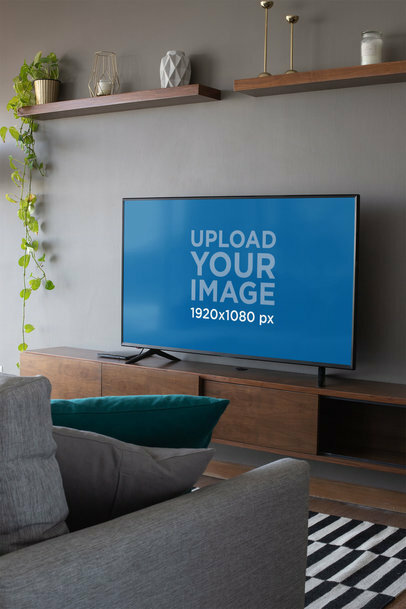 Your app can look very realistic in this multiple device mockup featuring a TV and an iPad Mini in landscape position over a PNG background. 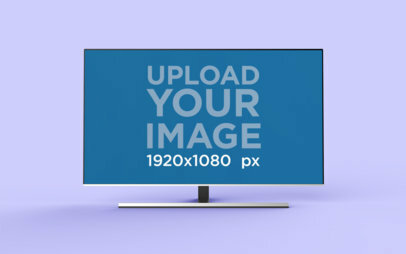 Create more digital mockups using our mockup generator and start promoting your app the right way! 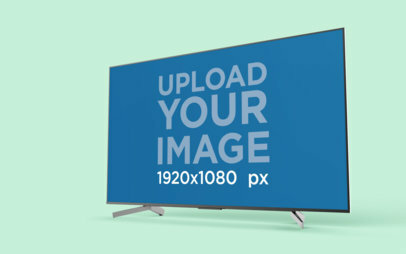 App marketing has never been easier than with Placeit.